Elecster is the leading company in the world as a system supplier for UHT lines, Aseptic Pouch Filling Machines and ecological Pouch Packaging Materials. With over 50 years' experience of engineering and manufacturing of dairy machinery and packaging material it has developed the superior know-how of compatibility required for milk pouch technology. Elecster Aseptic Pouch opens new business areas for you and upgrades your milk to Winner Class. Elecster Pouch saves costs and nature. All this will make Your Milk Product a Success Story. Elecster Aseptic Pouch is Your Future! 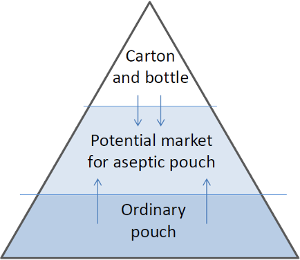 Elecster Aseptic Pouch is the consequence of unique know-how on compatibility of dairy processing lines, packaging machines and packaging materials. Optimization of the production and increase of profitability come from unique combination of Elecster filling machines with specific packaging materials developed upon needs of the dairy. Well proven technology enables to get a high quality pouch with strong and reliable seams, vanishing leakage problems and outstanding image printing. Elecster technology means reliability and responsibility. Milk is an initial product in daily life for all of us. The price of milk is an important factor in many areas. In big cities, some people may want to buy their milk economically whereas for some consumers the price of milk doesn't matter so much. This creates different market segments in the same geographical area. Entering into a pouch packaging segment with reliable good looking Elecster Pouch will create a new business area beside your current one. Are you ready for the business growth? Top quality milk products are the key to the success of any dairy, but they are requiring high level of packaging as well. It makes no sense to pack good and nutritious milk with low quality packaging materials, which would only cause damage to your product and business image. Elecster provides a total solution to milk pouch packaging. With the outstanding Elecster packaging system your milk product will be upgraded to Winner Class. Elecster stands for the best in pouch packaging. For decades Elecster has been developing packaging materials hand-in-hand with packaging technology. The combination of proper raw materials, sophisticated processing and highly computerized production lines provides the best results. 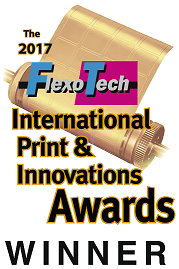 This all concerns the latest development both in plastic materials and flexographic printing. 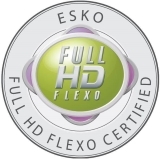 Elecster printing abilities meet the latest standards of full-HD quality. Our new Elecster Color Guarantee System will make the color management easier for the customers while planning marketing concepts. All these benefits you are getting for Your Dairy by choosing Elecster - Number One in Pouch! Entering a new business area is often challenging both financially and technically. There must be a business idea, how to make your investment work and payback. Elecster Aseptic Pouch gives excellent tools for that. UHT-treated milk product must be packed in aseptic conditions. 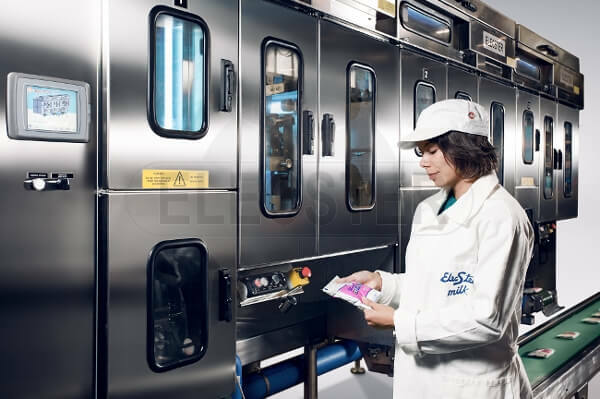 Reaching aseptic conditions puts high requirements for the packaging machines and packaging materials; at the same time the operators' qualification in the dairy circumstances plays an important role. This is all specialty area of Elecster know-how and we are happy to guideline your dairy with relevant information and training. The distribution of aseptic milk products is easier and cheaper than pasteurized milk, as no cold chain is needed. Aseptic milk will keep its quality, even in case of interruption in the cold chain. Aseptic milk means safe milk from the dairy all the way to a dining table. Besides UHT-treatment and aseptic packaging circumstances, the packaging material is also playing a crucial role in achieving the required shelf life for the milk. With Elecster aseptic packaging system you may adjust the shelf life of the milk product. For the shelf life of up to 30 days, Elecster has developed special PE-multilayer packaging material suitable for aseptic milk production. These properties are providing good sealing and puncture resistance for the milk pouch. If 30 days shelf life is not enough, oxygen barrier packaging materials should be used. Elecster long-life packaging materials are giving outstanding oxygen barrier properties compared to regular PE-based materials. Outside temperature, moisture and the sensitivity of the packed product should also be taken into account while choosing the right type of packaging material. By choosing a right kind of packaging material, the shelf life of milk can be pushed up to 3 or even more months. Regardless of choosing PE-based or oxygen barrier packaging material, the costs will stay far below competitive packaging materials like carton or plastic bottle. This is giving space for your marketing plans and enables you to get a new business in the market segment with less competition. Elecster Aseptic Pouch is not only a cheap way of packing but it also colorful, attractive and reliable. Shelf-life of three months is enough for the delivery chain from the dairy to a dining table. Longer sales period of 6-12 months is not needed. This would indicate already commercial problems in rotation of the storage of your goods, giving poor return of investment and therefore do not make any business sense while the packaging material costs will increase needlessly. Searching for more economical and ecological solution is one of the main tasks of the world dairy industry today. 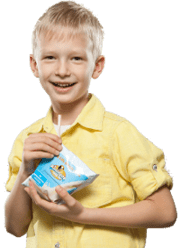 Compared to other packages, Elecster Milk pouch is light, which means less weight and less waste, and therefore savings. Transportation of pouch packaging materials is more efficient than transportation of carton packaging. Ecological balance sheet is very favorable for pouch packaging compared to carton packaging. Less material needed for milk packaging obviously means less consumption of energy and water, and less air pollution. The weight of carton packaging can be even 4 times bigger than ecological Elecster Pouch. All this has a direct impact on the production costs, making the pouch an inexpensive and advantageous way of packing milk. UHT-processing with aseptic packaging enables you to plan your production more flexibly and more efficiently. With aseptic production, you may run your production longer, and improve your logistics planning. UHT-treated milk in aseptic pouch facilitates your business by saving costs. From a business angle, aseptic milk allows you to expand your sales area while transportation costs are staying lower. This means more sales and better profitability. 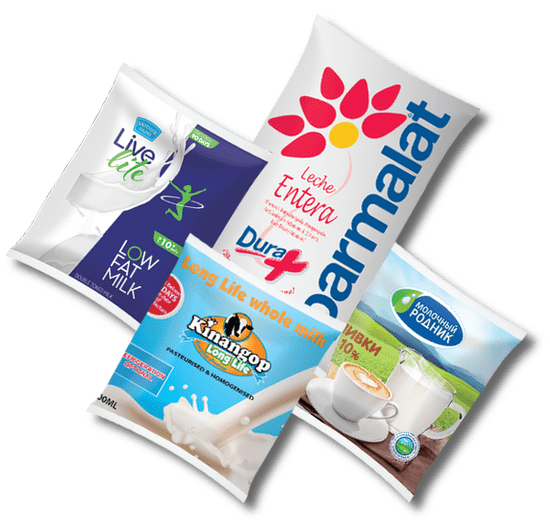 Elecster technology enables to get high quality pouch with strong and realible seams, vanishing leakage problems and outstanding image printing. Our technology means reliability and responsibility. Capacity up to 16000 pcs/h and 100 ml - 2000 ml pouch sizes available. Elecster has been developing hand in hand packaging equipment and multilayer functional packaging materials. 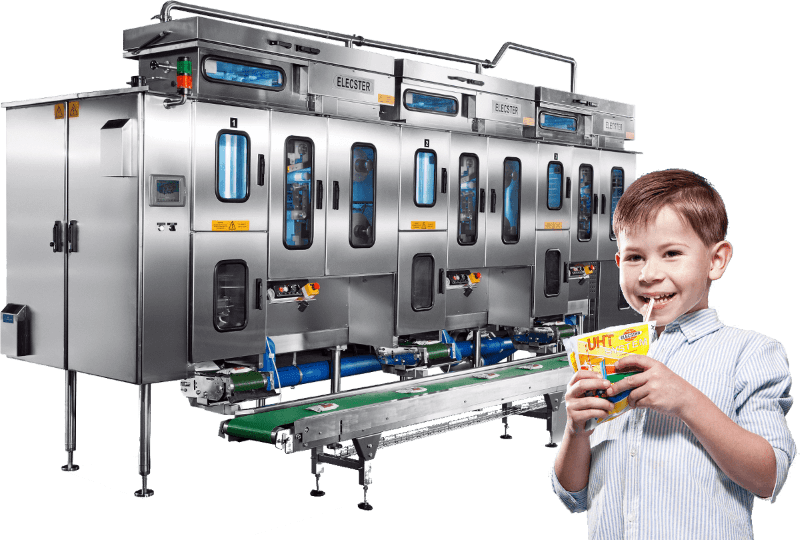 With Elecster aseptic packaging system you may adjust the shelf life of the milk product from one week up to three or even more months. Non-destructive Quality Control System for comparative testing of liquid aseptic milk products packed in carton packages. UHT processing enables you to plan your production more flexibly and more efficiently. This is the specialty area of Elecster know-how and we are happy to guideline your dairy with relevant information and training. Maximum capacity up to 10800 L/h. Elecster pasteurized product packaging technology is represented by a range of high-quality fillers. Elecster pasteurized pouch machines of FP series are designed to be extremely safe and flexible in operation, have small space requirement, rich in optional accessories and low operating costs. Capacity up to 6000 pcs/h and 200 ml - 1000 ml pouch sizes available. Elecster Sterile Water and CIP Unit. Produces pre-sterilization water and CIP for Elecster Aseptic Pouch Machine connected to another manufacturer's sterilizer. To ensure reliable operating of Elecster dairy machinery, we recommend to use original Elecster wearing and spare parts. Elecster technical team may remotely support you or visit your dairy for technical assistance. Elecster is the leading company in the world as a system supplier for UHT lines, Pouch Filling Machines and ecological Pouch Packaging Materials. Elecster headquarters are located in Europe. Dairy machinery production is taking in place in Finland and meets the highest quality and safety requirements (CE). 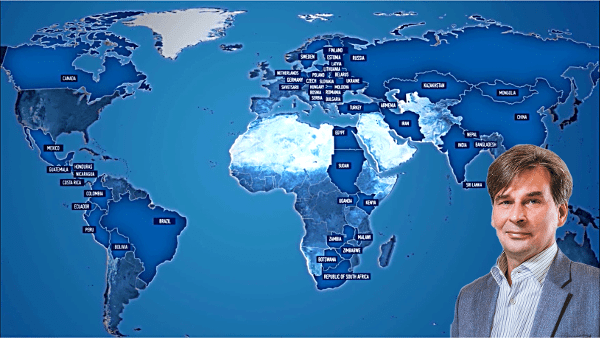 Elecster has packaging material factories in Finland, China, Russia and Kenya fulfilling unique customer requirements. We aim for perfection so that our customers, from large dairies to smaller companies, can focus on their business. Hi-tech packaging by Elecster means light, durable, economical, sustainable and easy to recycle. Our products offer long-term savings in cost but more importantly, they offer expanded markets and happier consumers of milk. We hope to be able to serve You in the future or continue our profitable co-operation. "In 2012, our company chose to work with Elecster UHT lines. This equipment is perfect for aseptic filling and increases self life of liquid milk products to 90 days. The equipment manufacturer on its part guarantees more than 3 months storage, depending on the type of packaging materials. This allowed us to expand the market and increase our product range." "Our company has been working with Elecster pouch packaging for more than 6 years now. Stable quality enables us to eliminate leakages. For us, Elecster is an absolutely reliable partner, who meets all our requirements 100%. Stability is a sign of top class and craftsmanship and this is our basic principle". 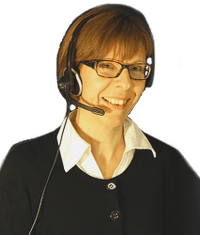 "I have been working with Elecster for more than 10 years now. I know their packaging machines very well and I have had the opportunity to visit their production facilities in Finland. There I saw how Elecster lines are thoroughly tested at the factory before the final delivery. This greatly reduces the installation and startup and allows for faster commissioning of the lines." 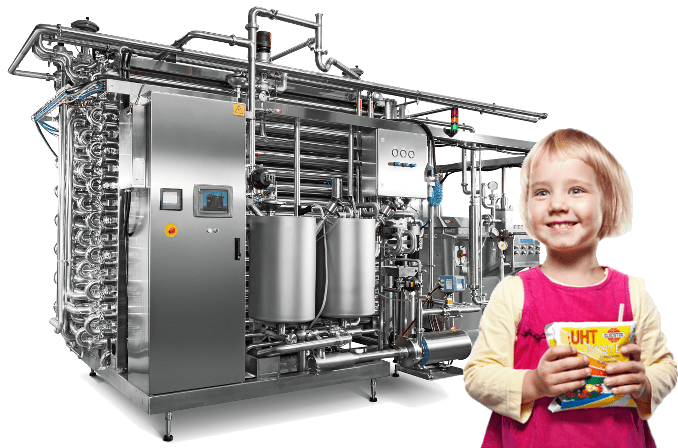 "The Elecster (Finland) UHT Milk technology enhances user experience by providing milk to a large population that would otherwise not have access to it. Additionally, the longer shelf life provides an advantage to consumers in India who do not have refrigeration." Elecster Aseptic Pouch opens new business areas for you and upgrades your milk to Winner Class. Elecster Pouch saves costs and nature. All this will make Your Milk Product a Success Story. Elecster Aseptic Pouch is Your Future! Are You ready for the business growth? Please contact us for discussion or brochures !